Recipient of the Jo Anne Stolaroff Cotsen Prize During the Late Intermediate period (AD 1100-1470), the lower Canete Valley of Peru was controlled by the walled Kingdom of Huarco. While inland sites produced irrigated crops, the seaside community of Cerro Azul, 130 km south of Lima, produced fish for the rest of the kingdom. Cerro Azul's noble families lived in large, multipurpose compounds with tapia walls. Their pottery had its strongest ties with valleys to the south, such as Chincha and Ica. During the course of excavation, the University of Michigan Project excavated two tapia buildings in their entirety, saving every sherd from every room, walled work area, feature, and midden. 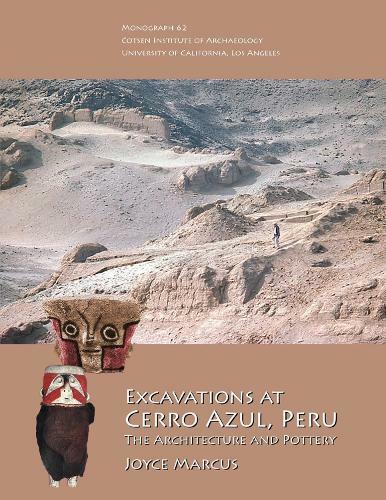 This remarkable volume is the final site report on the architecture and pottery of Late Intermediate Cerro Azul.